On the heels of yesterday’s 89th Oscars Nominations Announcement, Piper-Heidsieck, the revered French Champagne house known worldwide for its red and gold label, announced its return to the red carpet as the sole Champagne to be served during the 2017 Academy Awards season. To honor this partnership, Piper-Heidsieck has created a limited-edition magnum bottle to be poured exclusively at the ceremony and Governors Ball, the Academy’s official Oscars after-party. An exceptional bottle for an exceptional night, the Piper-Heidsieck Cuvée Brut magnum is enrobed in red and features a design of gold film that encircles the bottle. 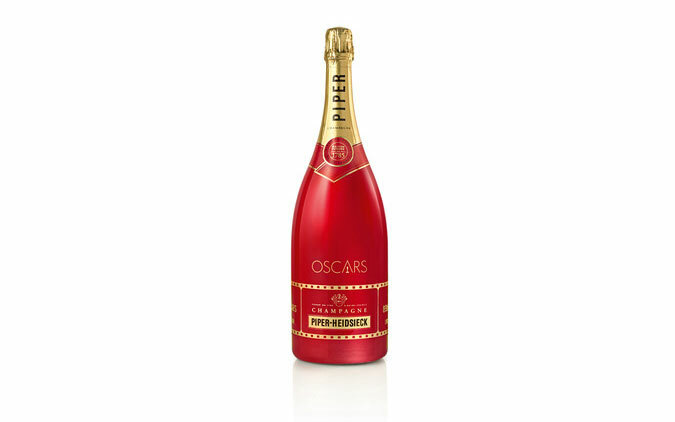 Piper-Heidsieck believes that nothing less than a magnum is worthy of the grandeur of Oscars night. The 2017 Academy Awards season marks the third year of a long-term partnership between Piper-Heidsieck and the Academy of Motion Picture Arts and Sciences. In addition to the awards ceremony on February 26, Piper-Heidsieck will be poured at Academy events in Los Angeles, New York and London, including the Oscars Nominees Luncheon on February 6 as well as the Governors Ball.